Recently renovated condo with rare reserved covered parking! 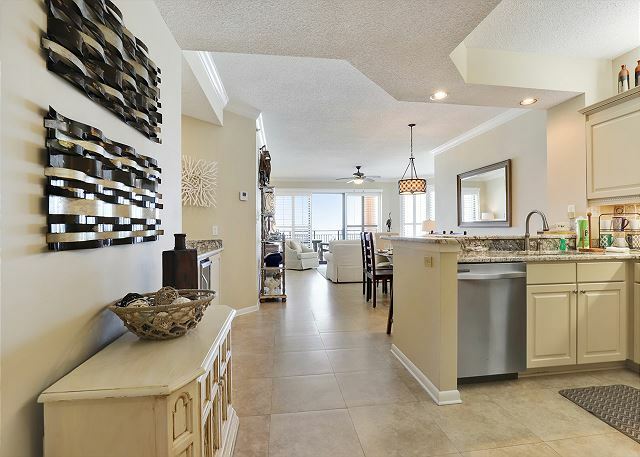 This elegantly decorated 1,341 sq ft. two bedroom, two bath, 6th floor unit has it all! 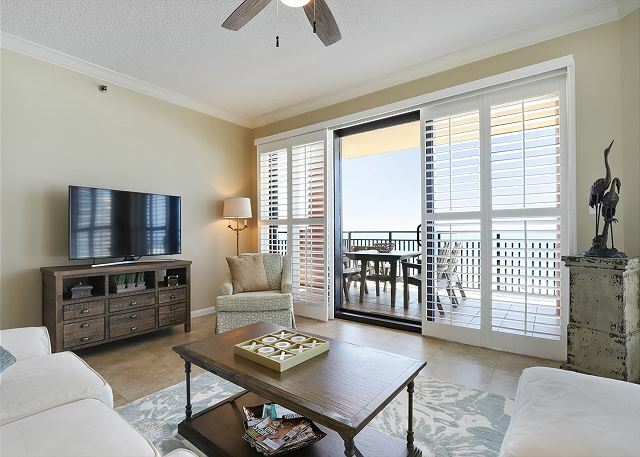 Panoramic views of the gulf from the master bedroom, living room and large balcony. Dining in will be a treat in the all new kitchen featuring stainless steel appliances, granite counter tops, in-refrigerator ice maker and wet bar with beverage center. This newly renovated condo with its luxurious setting will sure to be a renters favorite. Fully appointed kitchen and laundry area with full size washer and dryer. Newly renovated large master bath with whirlpool tub, separate glass enclosed shower, double vanity and lots of closet space. 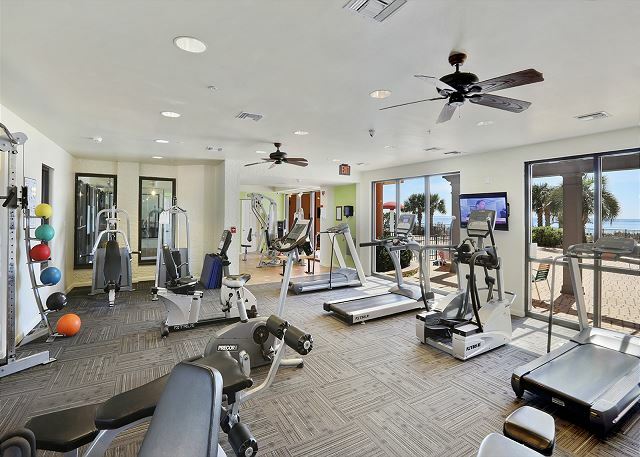 Other features include ceiling fans, flat-screen TVs with DVD in every room. We really enjoyed staying at Seachase. The condo was tastefully decorated and well stocked with what we needed. The beach was fantastic, clean, and spacious. We loved the pools and hot tubs as well. Every person working at the resort was friendly and helpful. Thanks for a great stay! Relaxing and comfortable. Staff in friendly, considerate and always willing to help. Renewed friendships with friends from past years in a pleasant atmosphere. Coming back next year!!! Great office crew and loved this updated condo, but wish there was a side table and lamp next to large chair in LR. There are so many great pools for the kids, but I wish one of the pools was designated QUIET POOL or Adults only for the guests that would like a serene area for adult drinks, reading and chatting....hard to enjoy the pool with loud kids. The West Tower pool is very small and would be great for adult gathering. That pool gets VERY noisy because of the enclosed in area. Not everyone has kids and grandkids with them while on vacation!! 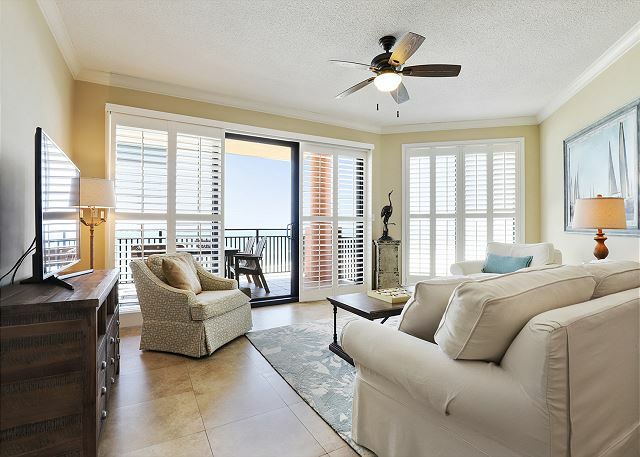 Thank you for choosing the Aronov Gulf Coast team for your SeaChase reservations. It's always great to see long-time guests coming back! We're so glad you enjoyed your stay with us and will pass on your suggestions to our homeowner's association. Nice unit clean & able to access shopping & restaurants. The problem was that we were told that the indoor pool was heated. It was cold. A we were there in late April so the outdoor pools were real cold. When we booked we were told the indoor pool was heated. By being inside & dome din at times hitting it was not enough. Just dissatisfied on the outcome. Great place - well appointed and located in the west tower. Plantation shutters give the place a nice feel in the morning and at sunset - 1 guest slept in the front room and loved hearing the ocean. Thank you for your feedback! We're so glad you enjoyed your stay and SeaChase and hope to see you again soon. The rental that we rented worked out very well and we enjoyed being on the 6th floor and on the ocean. MATTRESS IN SMALL BEDROOM WAS VERY UNCOMFORTABLE. WE NEEDED DURING OUR STAY. VERY HAPPY OVERALL. WOULD DEFINITELY COME FOR ANOTHER STAY. Glad you enjoyed your stay! The comfort of a mattress is a very subjective thing of course. Can you tell us what the issue was? Thank you! We loved everything about this rental. It was close to the ocean, the beach was beautiful, the view from the deck was wonderful. A place to come home to when we needed to rest. It had everything we needed and we will definitely return. We really enjoyed our stay here. It was a really nice 2 bedroom property. Friends had recommended this place to me and I wasn't disappointed. It's right across the street from Walmart and Dollar General. Great view overlooking the beach and just several steps and you are on the beach. Very happy with this condo. We would definitely stay here again. The amenities were very nice. The employees were wonderful. Our condo was clean and had everything we needed. Great place to stay! Very pleasant & relaxing property. Management is very accommodating to your needs. Will definitely return. Wonderful time and the condo was excellent. No problems only good times. Would stay again and recommend it to friends.